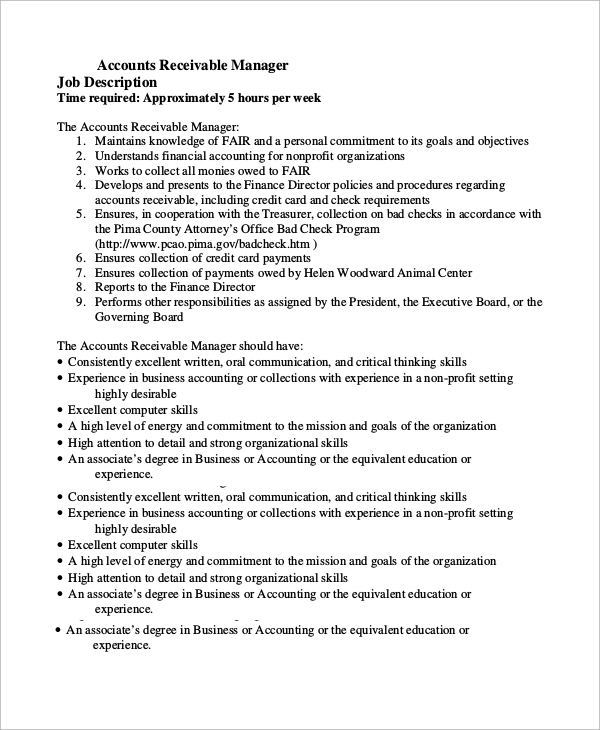 Accounting manager Job Description Samples listed below cater to different categories of accounting manager jobs such as assistant key account manager, strategic account manager, finance and accounts manager, accountant office manager and regional account manager. They are perfect in all aspects starting from heading, sample texts, company overview to details about the roles and duties and skills required. 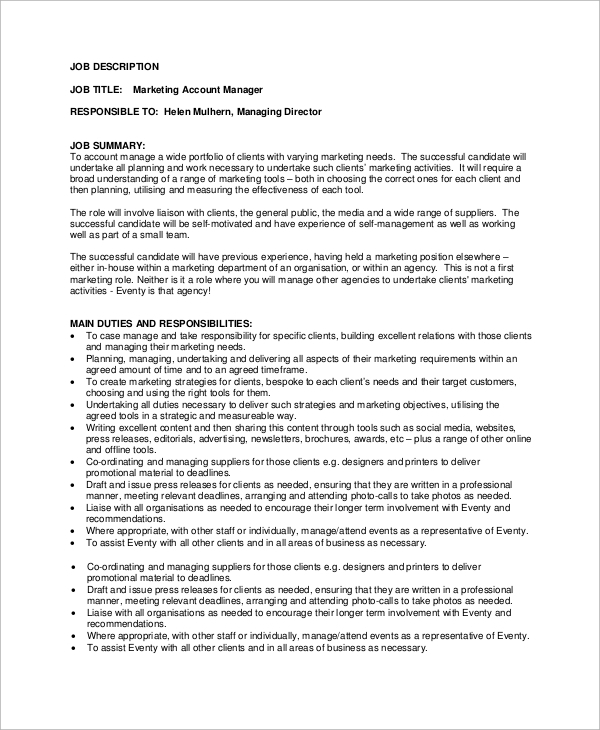 They will help any company to make their own job description for hiring any account manager instantly with their references. 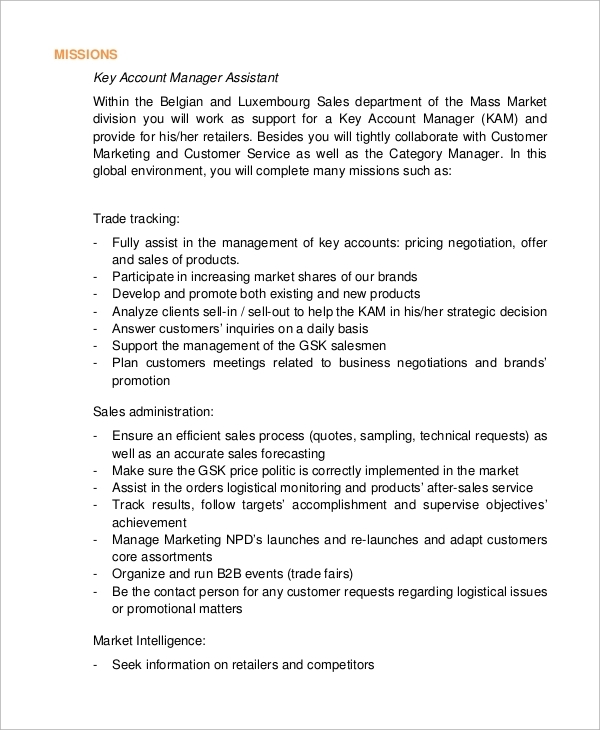 This Job Description for the post of assistant key account manager is a perfect example that any company can use to furnish a proper job description. It contains all the necessary ingredients like company overview, profile of the job post, how to apply and what are the qualities that a candidate must possess before applying. 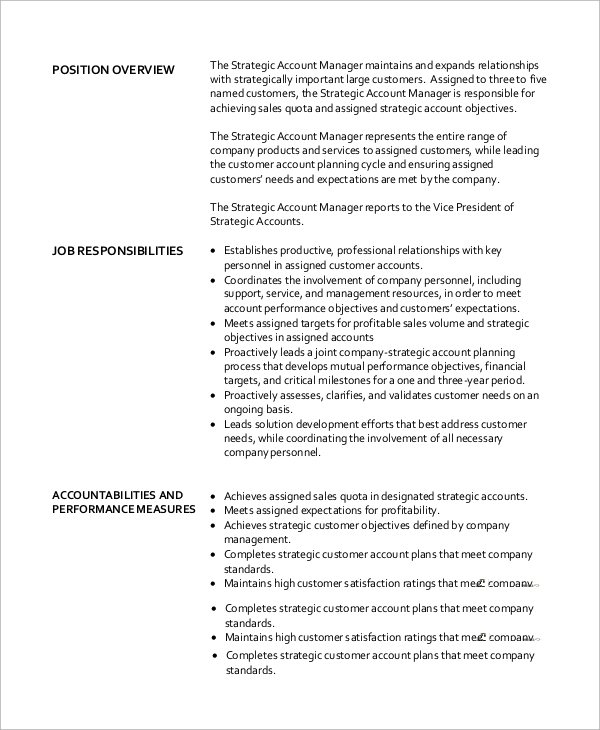 This strategic account manager job description first provides an overview of the company and then it starts describing the position, job responsibilities to carry out, accountabilities and performance measures, organizational alignments and details about working environment. 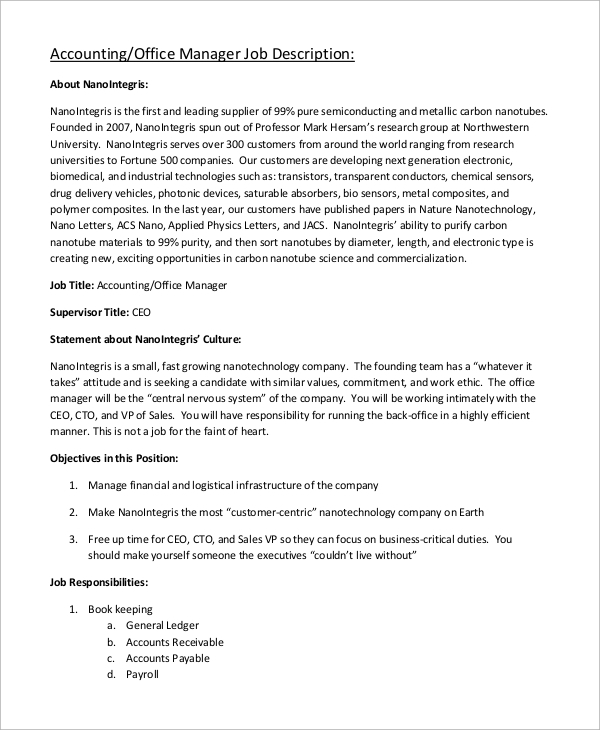 You can also see Assistant Manager Job Description Samples. 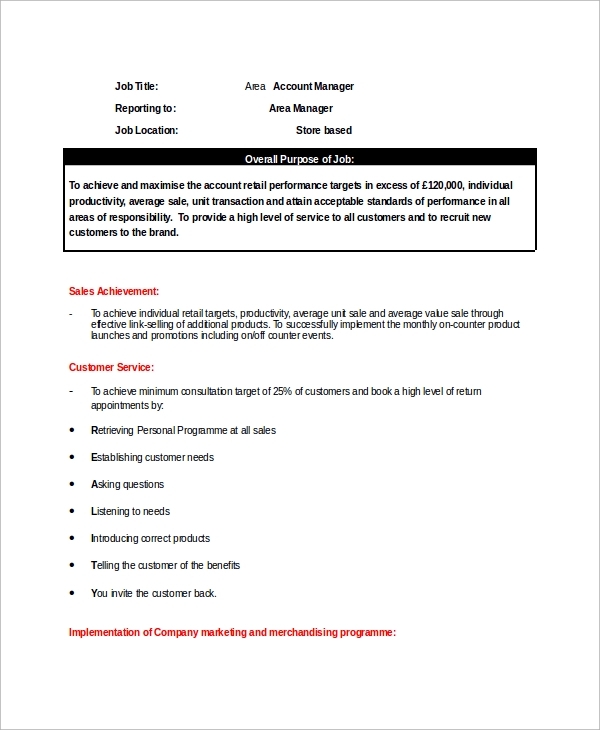 This is a job description for finance and accounts manager. It starts with the summary of the job, characteristics, essential duties, skills, demands of the positions, qualifications, experience, and other certifications. 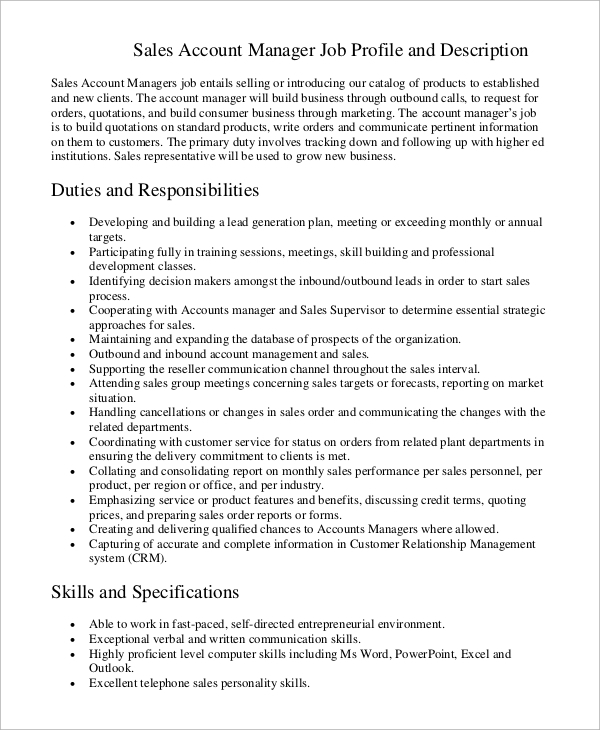 There are different types of account manager job description such as assistant manager job description, general manager job description and even Office Manager Job Description and different job description are truly different based on requirement and thus, it opens a wide variety of scopes for the companies to take reference. The tone, flow and essential heading with proper sample texts are guidelines for the hiring agencies to follow and prepare their perfect job descriptions. This is a perfect job description for an accountant office manager. It starts with an overview of the company followed by the details of the job and position offered. It describes the objectives of the position, job responsibilities, desired characteristics, working conditions, skill required, education and qualifications and additional requirements. 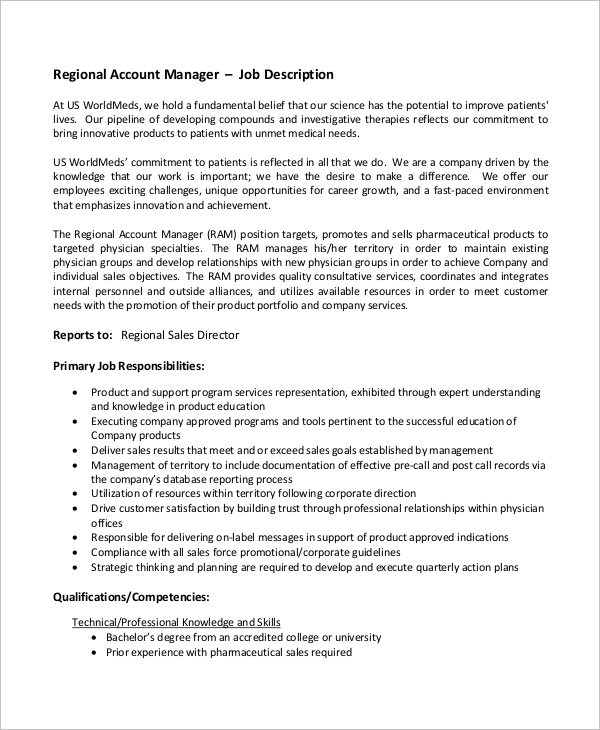 This regional account manager job description begins with a complete detail of the job post and the primary job responsibilities. It is followed by the required qualifications and competencies which includes personal traits, values and behaviors and sales skills. 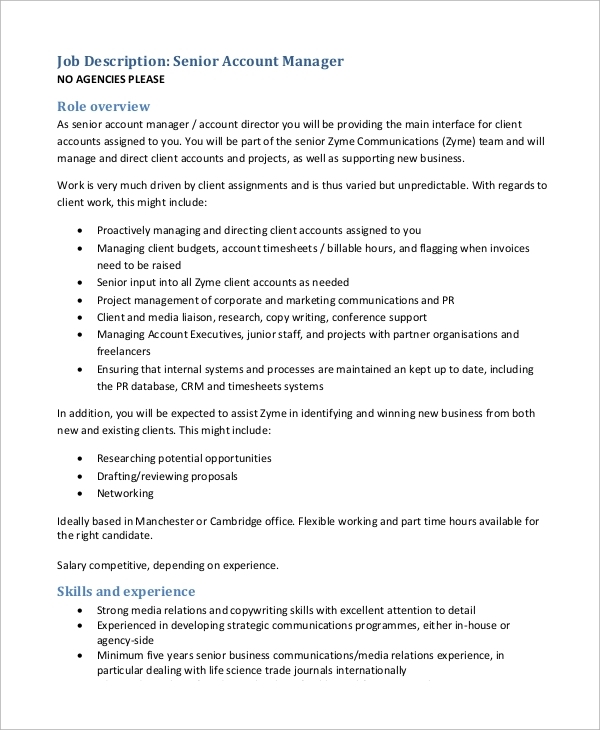 The targeted audiences for the account manager job descriptions are the hiring agencies whom the big companies give the contract and the rights to hire account manager of different types as per requirements. They are also applicable for small companies who want to hire various account officers in various vacant and new posts by themselves by furnishing proper job descriptions with all relevant information. 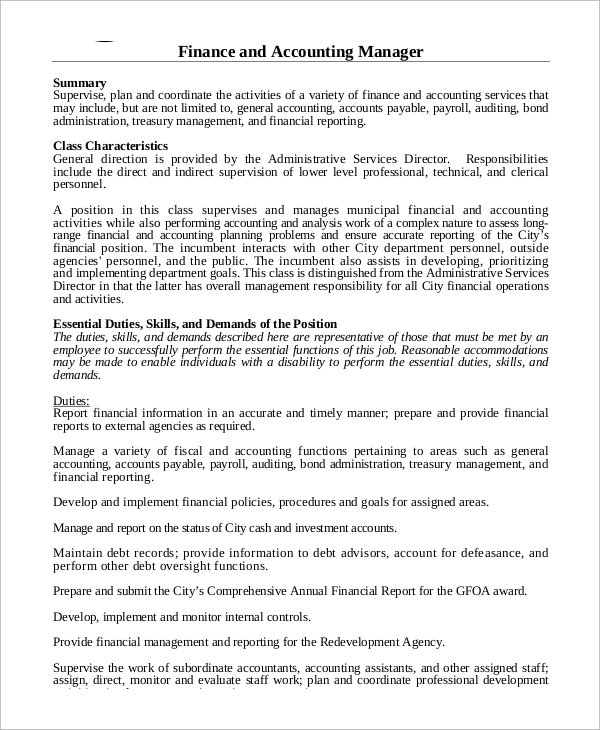 You can also see Accounting Job Description Samples. The above-listed Sample Job Descriptions are thorough and detailed. They are in proper format and the flow is swift and candidates will find them easy to find and understand and apply if they match the necessary requirements and conditions. One can also prepare his or her resume based on the requirements without providing unnecessary details.